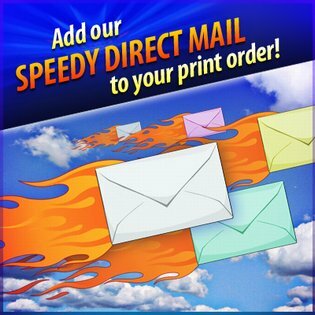 Direct mail services that are low cost, organized and delivered on time! Printed on substantial 14 PT & 16 PT cover stock for a quality result. Matte or UV gloss finish choices available. 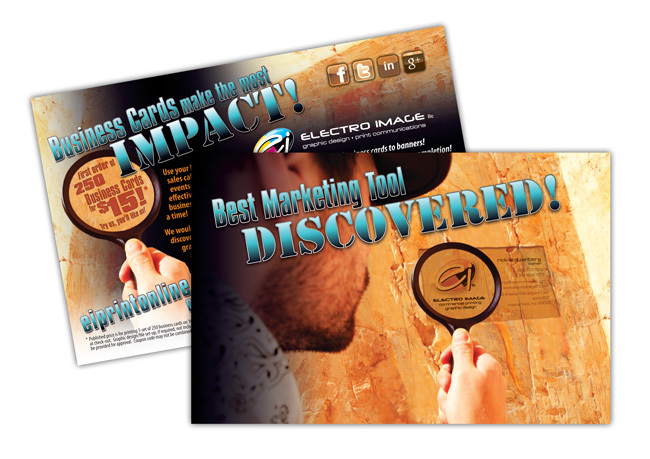 I need it now: Did you know that Electro Image offers direct mail services in St. Louis, Kansas City, Chicago, Dallas, Denver and Houston! Click on any thumbnail below to view a ad design project. 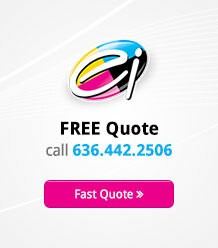 We offer direct mail services in the St. Louis, Kansas City and Chicago areas as well as in all fifty states! 6” x 11”, 4/4 on #100 gloss cover. We designed, printed & direct mailed this postcard. 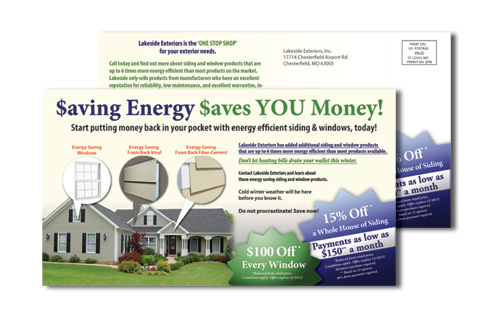 Direct mail promotion printed and mailed on different stocks & finishes to track which gains the most conversion to ROI. 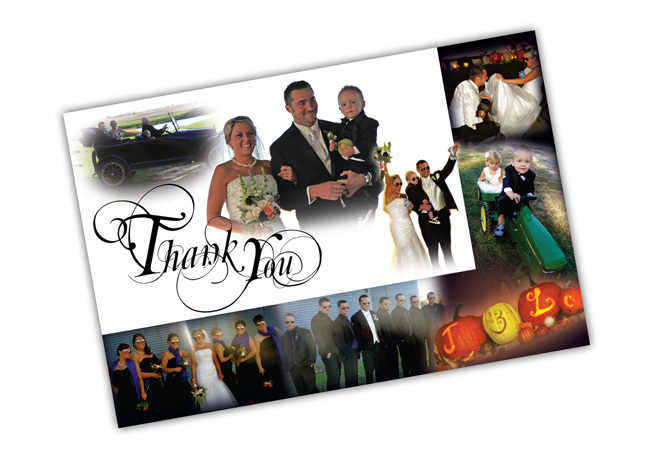 We created a great ‘Thank You’ postcard for newlyweds. 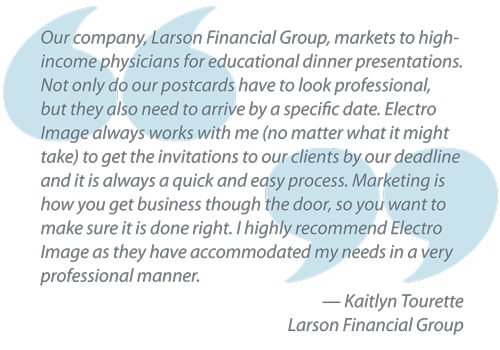 They supplied the photos and we created a custom mailer to mail to family and friends!